When I started college, many moons ago, I wanted to be a high school history teacher. Then I became what some would call a “professional student”. I got my BA in European history with a minor in film history and went on for an MA in international affairs. As I finished each degree, I found myself working in academia. When I finished my AA in photography from Foothill College, I considered various options within the field of photography, including weddings, commercial, fine art and even going back to school to get my MFA. While I do occasionally photograph weddings, as well as, family and corporate portraits, for me the most fulfilling is teaching workshops. After I taught my first workshop and received the responses from the participants and saw their photos from the day, I just knew that teaching was what I was meant to do. I believe that everyone has an artist within them, it’s just a matter of finding the right medium for their creative outlet. If I can guide students along through photography and help them to discover their inner creative soul, I feel like I have accomplished something wonderful. In this past year, I have heard from students who have won awards for their photographs that they made in my workshops, some have discovered that they really do love street photography (the style that I generally teach), one embarked on a documentary series after I worked with him to discover the best way to use photography to tell the story he wanted to share with the world. It’s so exciting to help other artists grow and find their artistic voice. Though, honestly, they help me to find mine. I guess all those years ago, I just knew that I was meant to be a teacher and now through the support and inspiration of so many, I have found my medium. Two students have mentioned my workshops in their blogs. I am honored. You can see their work and comments on their sites linked below. 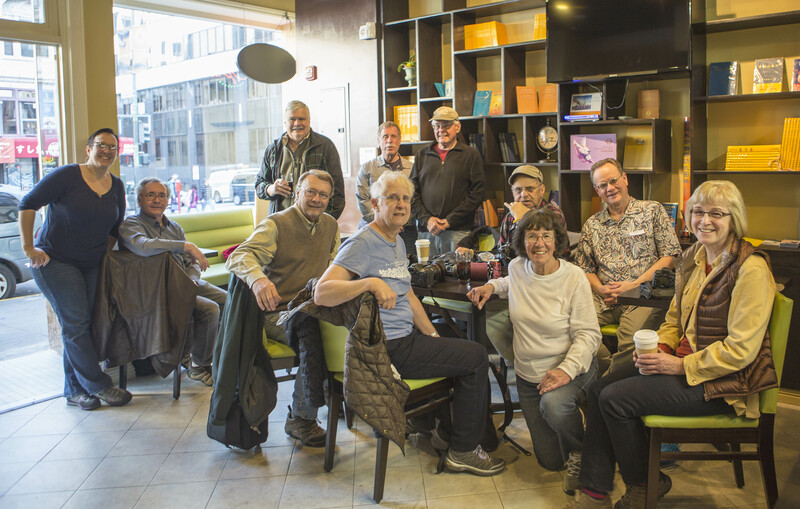 The photograph below was taken by Carol Gray after my workshop at Chinatown’s Flower Festival on January 25, 2014.